Roll off Pup trailers are for sale at BENLEE. 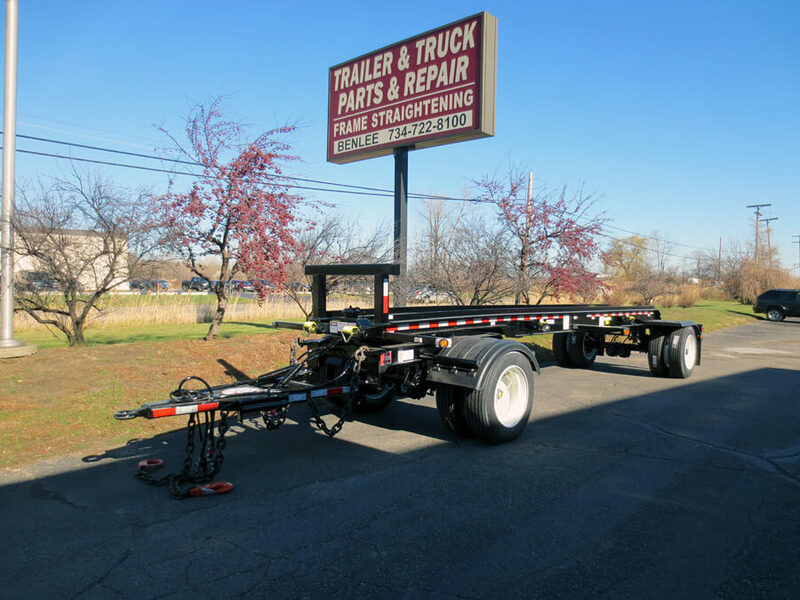 We have the trailer you need and at times we have used pup trailers, but we always stock new ‘dead’, non dumping trailers. Yes we make live roll off pup trailers that are dumping roll offs, with full hydraulics. These are semi, fifth wheel units. We are the #1 manufacturer of roll off trailers.